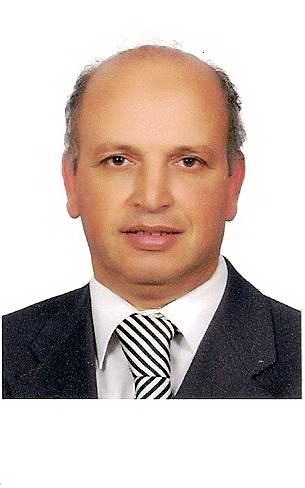 Khaled A. Shehata , Ph.D.
2009-2010 (concurrent)	Consultant in Ministry of Military Production. 2008-2009 (concurrent)	Consultant in Egypt and Middle East, University Program of Cypress Semiconductor Company. 1997-1999 (concurrent)	Consultant for the AOI, Electronic Factory, in constructing their Application Specific Integrated Circuits (ASIC) Design Center including: Software, hardware and Infrastructure requirements and engineers ion. This Design Center is running now. 1996-1997	Research Assistant Professor, Under the sponsorship of the United States National Security Agency at the Naval Postgraduate School, Monterey, California, USA. Combine AES, DES and stream cipher algorithms in one optimized Hardware> The choice of the encryption algorithm is chosen through a communication packet and based on SDR concept. Basem M. Abdelrahman Hesham N. Ahmed Khaled A. Shehata, "A miniaturized, broadband power divider using loaded slow wave structures for wireless applications" , 356-361 , 2016. Hesham A. Fahmy Khaled Ali Shehata Safa Gasser, "Design an optimized hardware implementation of DVB-T2 modules on an FPGA" , 125- 128 , 2016. Samah Mohamed Khaled A. Shehata Hanady H. Issa Nabil Hamdy Shaker, "FPGA implementation of a combined hamming & AES error tolerant algorithm for on board satellite" , 1-4 , 2015. 19. Fatma A Matter Mohamed F Ibrahim Khaled A Shehata, "CMOS single-stage fully differential telescopic cascode OTA with gain boosted technique for 14Bit lOOMSps pipelined ADC" , 1-6 , 2015. Fadi S. Ayad, Hanady H. Issa, Mohamed S. El-Mahallawy and Khaled A. Shehata, "Design and Implementation of a Real-time Sleep Stage Monitoring System for Narcolepsy Diagnosis" , 975-979 , 2014. Khaled Shehata, Hanady Husien and Sara Yahia, "FPGA Implementation of RSA Encryption Algorithm for E-Passport Application" , Vol:85 2014-01-03 , 2014. Saleh Eissa, Hanady Husien, Khaled A. Shehata, and Hani Ragie, "SRD-Based Pulse Generator for UWB Wireless Network Applications" , 2013 IEEE International Conference on Computer and Telecommunications, ICCAT'2013, Sousse,Tunisia , 2013. Ahmed N. Mohamed , Hesham N. Ahmed , Mohamed Elkhatib and Khaled A. Shehata, "A low Power Low Noise Capacitively Coupled Chopper Instrumentation Amplifier in 130 nm CMOS for Portable Biopotential Acquisiton Systems" , 2013 IEEE International Conference on Computer Medical Applications, ICCMA' 2013 (2013) . Dina Ibrahim, Khaled Shehata, Safa Gasser, "DESIGN and SIMULATION OF DVB-T2 TRANSMITTER" , AEROSPACE SCIENCES & AVIATION TECHNOLOGY, ASAT - 15 – Military Technical College, Cairo, EGYPT , 2013. Basem A. Hesham Nabil, Khaled Shehata, "Design and Implementation of a 9W, 0.3-3.7 GHz Linear Power Amplifier Using Gan HEMT" , IEEE Midwest Symposium on Circuits and Systems (MWSCAS 2013), Columbus, Ohaio, USA. , 2013. Nivin Nasr, Mohamed Bakr, and Khaled Shehata, "FPGA Implementation of PSO-Based Object Tracking System Using SSIM" , International Conference of Microelectronics (ICM2013) , 2013. Niveen Nasr Morsi, M. B. Abdelhalim and Khaled Ali Shehata, "Efficient Hardware Implementation of PSO-Based Object Tracking System" , International Conference on Electronics, Computers and Computation (ICECCO 2013) , 2013. O. Hassan*, I. Adly and K. A. Shehata, "Vehicle Localization System based on IR-UWB for V2I Applications" , 2013 8th International Conference on Computer Engineering & Systems (ICCES) , 2013. 16. Mmdoh Goda, Khaled Shehata and Mohamed Husien, "PAPR Reduction performance for LTE OFDM System with Different Techniques" , International Journal of Scientific and Engineering Research (IJSER), pp.2337-2344. , 2013. Hazem El Deeb, Khaled Shehata, Nabil Hamdy, Ahmed AbdlHafez,"”, , "HANK-1 ,a new compact, efficient and secure block cipher algorithm for limited resources Devices" , 8th International Conference on Electrical Engineering, ICEENG 2012, M.T.C. (2012) . Hanady Hussien, Khaled A. Shehata, Salwa El Ramly and Nihal M.S. Tawfik, "Design of a Merged Algorithm for Luby Transform Decoder" , 3rd International Conference on Signal and Information Processing (ICSIP 2012) , 2012. Emad Wageeh, Khaled Shehata, Mohamed Aboul-Dahab, "Design and Implementation of a Software- Defined Data Authentication Algorithm for RFID Applications" , 6th International Conference on Design principles and Practices, University of California at Los Angles : pp. 121 - 126, 2012. Hanady Hussien, Khaled A. Shehata, Salwa El Ramly and Nihal M.S. Tawfik, "Design of a Merged Algorithm for Luby Transform Decoder" , International Journal of Computer and Communication Engineering, Vol. 1, No., 3, pp. 246-249 , 2012. Khaled Shehata, Gamal Selim, Maged Elgendy, and Mohamed Kota, "A controlled Proxy-Protected Signature Scheme with Instantanious Revocation" , International Journal of Computer Science and Network Security, vol.11, : pp. 27 - 30, 2011. Manal S. Gamal, Mohamed Zaki, and Khaled Shehata, "Protecting Historical Documents through Secured Watermarking" , Egyptian Journal in Computer Science , 2011. Nabil Hamdy, Khaled Shehata and Haitham Eldemerdash, "Design and Implementation of Encryption Unit Based on Customized AES Algorithm" , International Journal of Video & Image Processing and Network Security (IJVIPNS-IJENS), vol.11, no.01 : pp. 33 - 40, 2011. Khaled Shehata, Atalla Hashad, Hanady Husien, and Hany Fahmy, "Design and Implementation of a video compression technique for High Definition videos implemented on a FPGA" , 21st International Conference on System Engineering, Las Vegas , 2011. Adly, H. F. Ragai, A. E. Elhennawy , K. A. Shehata, "Adaptive Packet Sizing for OTAP of PSoC Based Interface Board in WSN" , IEEE 22nd International Conference on Microelectronics, ICM’10 : pp. 148 - 151, 2010. Adly, H.F.Ragai, A.El-Hennawy, K. A. Shehata, "Over-The-Air Programming of PSoC Sensor Interface in Wireless Sensor Networks" , 15th IEEE Mediterranean Electrotechnical Conference, Valletta, Malta , 2010. Adly, H.F.Ragai, A.El-Hennawy, K.A.Shehata, "Wireless Configuration Controller Designfor FPGAs in Software Defined Radios" , Online Journal in Electrical and Electronics Engineering(OJEEE), Vol.2, No.3, pp 293-297 (2010) . Lamiaa S. Hamed, Khaled A. Shehata, Hassan E. Ghitanyb and Mohamed E. Sayed, “” , "Design of Generic Floating Point Multiplier and Adder/Subtractor Units" , IEEE Computer Society,12th International Conference on Computer Modeling and Simulation, England (2010) . E. mohamed, S. Shedeid, K. Shehata, H. Taha, “”, , "Development and Performance Analysis of on-Board Computer Software for Real Time Auto-Pilot Control System" , 7th International Conference on Electrical and Electronics Engineering (ICEENG), Military Technical Collage, Egypt (2010) . Ahmed Ali, Gouda I. salama, M. S. Hamed, and Khaled A. Shehata, “”, , "Image Tracking Technique for Missile Applications" , 7th International Conference on Electrical and Electronics Engineering (ICEENG), Military Technical Collage, Egypt (2010) . Amani Sabry, Hesham El Badawi, Khaled Shehata and Ahmed Ali, "A novel resource Allocation Technique for VBR Video Traffic in the Uplink over WiMAX Networks" , 2009 International Conference on Mobile, Wireless and Optical Communications (2009 MWOC), Jeju Island, South Korea , 2009. Sherif Welsen Shaker, Salwa Hussien El Ramly, and Khaled Ali Shehata, "Design and Implementation of Low-Power Turbo Encoder for DVB-RCS Software Radio" , 17th Telecommunication Forum 2009 ‘TELFOR’09, Belgrade, Serbia , 2009. Sherif Welsen Shaker, Salwa Hussien El Ramly, and Khaled Ali Shehata , "Design and Implementation of Low-Power Viterbi Decoder for Software-Defined WiMAX Receiver" , 17th Telecommunication Forum 2009 ‘TELFOR’09, Belgrade, Serbia , 2009. Ramy Said Agieb, Hassan Ahmed El_Ghitany, and Khaled Ali Shehata, "4-Bit Piplined ADC for Monolithic Active Pixel Sensors" , 2nd International Conference on Advanced Computer Theoryand Engineering (ICACTE 2009), Cairo, Egypt : pp. 905 - 912, 2009. Hesham ElBadwi, Khaled Shehata and Hesham ElSawi, "Joint Radio Resource Management for HSDPA and WiMAX Networks" , first International Conference on Computational Inelegance, Communication Sysyems and Networks (CICSyN2009), Indora, India , 2009. K.A. Shehata, S.M. Eissa, H.F. Ragaai, "Design and Implementation of an11-bit Interpolation DAC" , International Journal of Electonics, vol.95, no.3 : pp. 177 - 192, 2009. Emad Samweil, Khaled Ali Shehata, and Ahmed Madian., "Design of Triple-Mode Digital Down Converter for WCDMA, WCDMA2000 and GSM of Software Defined Radio" , IEEE 21st International Conference on Microelectronics, ICM’09, Marrakech, Morocco : pp. 266 - 269, 2009. Sherif Welsen Shaker, Salwa Hussien El Ramly, and Khaled Ali Shehata, "FPGA Implementation of a Configurable Viterbi Decoder for Software Radio Receiver" , IEEE 44th AUTOTESTCON 2009, Anaheim, California, USA , 2009. Sherif Welsen Shaker, Salwa Hussien El Ramly, and Khaled Ali Shehata, "Implementation of a Generic-Configurable Viterbi Decoder on FPGA for Software Defined Radio Receiver”" , IEEE Regional Symposium on Microelectronics, RSM 2009, Kota Bahru, Malaysia , 2009. Ghada Farouk, Salwa Elramly, Bahaa Eldeen Hasan, and Khaled Shehata, "Anew Symmetric Key Generation Algorithm" , 26th National Radio Science Conference (NRSC 2009), Cairo, Egypt , 2009. Mohamed A. Aboul Dahab, Khaled A. Shehata, Karim A. Hamouda and Salwa H. El Ramly “" , "FPGA Prototyping of Digital RF Transmitter Employing Delta Segma Modulation for SDR" , 26th National Radio Science Conference (NRSC 2009)Cairo, Egypt (2009) . Sherif Welsen Shaker, Salwa Hussien El Ramly, and Khaled Ali Shehata. “”, , "FPGA Implementation of a Reconfigurable Viterbi Decoder for WiMAX Receiver" , IEEE 21st International Conference on Microelectronics, ICM’09, Marrakech, Morocco (2009) . Khaled A. Shehata, Mohamed A. Aboul Dahab,Salwa H. El Ramly and Karim A. Hamouda, "AN FPGA BASED 1-BIT ALL DIGITAL DIGITALTRANSMITTER EMPLOYING DELTA-SIGMA MODULATION WITH RF OUTPUT FOR SDR" , IEEE International Conference on Signal, Circuits and Systems (IEEE SCS2008), Hammamat, Tunisia , 2008. Khaled Ali Shehata, Hanady Hussien, and Hani Fekri Ragai, "DESIGN and IMPLEMENTATION OF 2.5 GBPS PIPELINED DIGITAL ENCODER FOR FLASH A/D CONVERTERS" , IEEE International Conference on Signal, Circuits and Systems (IEEE SCS2008), Hammamat, Tunisia , 2008. A.Mahfouz, K.Shehata and M.Hanna, "A secure spreader/despreader for CDMA applications" , IEEE International Conference on Signal, Circuits and Systems (IEEE SCS2008), Hammamat, Tunisia , 2008. Ghada Farouk Naiem, Salwa Elramly, Bahaa Eldeen Hasan, and Khaled Shehata, "FPGA Implementation of RSA processor" , (ACCS08), Second International Conference on Advanced Control Circuits and Systems , 2008. Ghada Farouk Naiem, Salwa Elramly, Bahaa Eldeen Hasan, and Khaled Shehata, "An Efficient Implementation of CBC Mode Rijndeal AES on an FPGA" , 25th National Radio Science Conference (NRSC 2008), D09, Cairo, Egypt , 2008. A. Hashad, S. Welson, M. Aboul Dahab and K.A. Shehata, "Design and Implementation of Carrier Phase Synchronization Module for Software Defined Radio on FPGA" , 5th International Workshop on Signal Processing and its Applications WoSPA'08 Sharja, U.A.E, March, 2008 , 2008. Sahar El Shazly, Omima Abdel Mohsen, Khaled Shehata "" , "Enhancing Fault Recovery in MPLS Networks using P-Cycle Structure" , ICCTA 2007 Alexandria, Egypt : pp. 70 - 73, 2007. Khaled Shehata, Alaa Eldin Omar and Salah Kholif, "Design and Implementation of Stream Cipher Algorithm" , Journal of Al Azhar University Engineering Sector, vol.2, no.4 : pp. 863 - 873, 2007. K. A. Shehata, H. Fikry, and Hanady Husien, "1.5GSPS 4-bit flash ADC using 0.18um CMOS" , International Conference in Microelectronics ICM 2007, Cairo, Egypt : pp. 341 - 344, 2007. K. A. Shehata, Husien, H. Ragai, H.F., "Design and implementation of a high speed low power 4-bit Flash ADC" , International Conference in Design & Technology of Integrated Systems (DTIS2007) in Nanoscale Era, Rabat, Morocco, pp200 – 203 (2007) . Sahar El Shazly, Omima Abdel Mohsen, Khaled Shehata "" , "Enhancing MPLS Fault Recovery using P-Cycle with QoS Protection" , International Conference in Communications and Information Technology, ICICT 2007 Cairo, Egypt (2007) . Waleed Abdel Hamid, Khaled Shehata, andAmro Baiomy, "Bi-directional Bubble-Sorting-Based Non-Manhattan Channel Routing" , Al Azhar University Engineering Journal (AUEJ) , 2006. Khaled Shehata, Saleh Eisa, and Hani Fikry, "Design and Implementation of An 11-bit Non-linear Interpolation DAC" , 1st International Conference on Design and Test of Integrated Systems in Nanoscale Technology (IEEE DTIS’06), Tunis, Tunisia, pp 136-139, September 5-7, 2006. (2006) . Islam Tawfik, Khaled Shehata, Magdy Kfafy, "FPGA Hardware implementation of flow control Algorithm for External Modems" , 5th International Conference on Electrical and Electronics Engineering (ICEENG), Military Technical Collage, Egypt. (2006) . Nabil Shaker, Khaled Shehata and Alaa Shobky, "Stream Ciphers Combining LFSR and FCSR Architectures with Linear and 2-adic Complexity Near to Period" , 5th International Conference on Electrical and Electronics Engineering (ICEENG), Military Technical Collage, Egypt 16-18 May 2006 (2006) . Khaled Shehata, Saleh Eisa, and Hani Fikry, "Design of a 10-bit Non-linear Interpolation DAC" , 5th International Conference on Electrical and Electronics Engineering (ICEENG), Military Technical Collage, Egypt. (2006) . Khaled Sheata, Mauris Hana, and Asmaa Mahfouz, "FPGA Design and Implementation of an 8-users CDMA Transceiver Using D-sequence Generator" , Second Workshop on VLSI Technology and EDA Tools, Egypt, pp 13-24. (2006) . Khaled Shehata, Atalla Hashad, M. AboulDahab, and Sherif Welson, "Carrier Phase Synchronization for QPSK Software Defined Radio Receiver" , Scientific Bulletin, Ain Shams University, Faculty of Engineering , 2005. Khaled A Shehata, "Design and Impementation of Speech Encryption and Decryption Units on an FPGA" , 5th Conference on Language Engineering, Ain Shams University, Cairo, Egypt, pp. 197-211. (2005) . Atalla Hashad, Khaled Shehata, M. AboulDahab, and Sherif Welson, "FPGA Implementation of Direct Digital Synthesizer for Software Radio Receiver" , First Workshop on VLSI Technology and EDA Tools, Egypt, pp 14-23. (2005) . Islam Tawfic, Khaled Shehata, and Magdy Kafafy, "Design and Implementation of a flow control module for external Modem on an FPGA" , First Workshop on VLSI Technology and EDA Tools, Egypt, pp 24-36. (2005) . Khaled A. Shehata, "Design and Implementation of a CDMA Base-Band Module for Indoor Systems" , 1st Intrnational Workshop on Advanced Control Circuits and Systems (ACCS05), Cairo, Egypt. (2005) . Atalla Hashad, Khaled Shehata, Khaled Dars, and Mohamed Abo El Dahab, "Design and Implementation of VOIP Signaling and Control Modules" , Scientific Bulletin, Ain Shams University, Faculty of Engineering no.2 : pp. 487 - 503, 2004. Khaled Shehata, Ahmed Bahaa, Kareem Mourad, and Ahmed Sharaf, "Design and Implementation of FPGA Based and Microcontroller Based Digital Current Relay " , 16th International Conference on Microelectronics (ICM2004), Tunis, Tunisia, pp. 783-786. (2004) . Atalla Hashad, Khaled Shehata, and Safa Gaser, "Efficient Two Dimensional Discrete Wavelet Transform for JPEG2000, Realization and Optimization" , 14th International Conference on Computer Theory and Applications ICCTA'2004, Alexandria, Egypt. (2004) . Atalla Hashad, Khaled Shehata, and Safa Gaser, "Realization of an efficient VLSI architecture for discrete wavelet transform in real time image compression" , 2004 International Conference on Electrical, Electronic and Computer Engineering, Egypt, pp 673-676. (2004) . Nabil Hamdy, Khaled Shehata, Salah El Agooz, and Mohamed Helmy, "Design and Implementation of a fast invers modulo (216 + 1) multiplier used in IDEA Algorithmkey Schedule on FPGA" , 2004 International Conference on Electrical, Electronic and Computer Engineering, Cairo, Egypt , pp 507-51. (2004) . Khaled Shehata, Ahmed Bahaa, and Atala Hashad, "Design and Implementation of an FPGA based Protection Relay" , 21st National Radio Science Conference (NRSC 2004), Egypt pp D4-1:D4_6. (2004) . Khaled Shehata, N. Hamdy, S. Elagooz, and M. Helmy, "Design and Implementation of IDEA Algorithm Key Schedule on FPGA" , 10th International Conference on Aerospace and Aviation Technology, MTC, Cairo, Egypt, pp 717-727. (2004) . Atalla Hashad, Khaled Shehata, Khaled Dars, and Mohamed Abo El Dahab, "Design and Implementation Of VOIP Signaling Module" , 46rd Midwest IEEE Symposium on Circuits and Systems, Cairo, Egypt, pp851-854. (2003) . Khaled Shehata, Hanady Husien, and Nabil Hamdy, "Design and Implementation of a Universal Security Unit using FPGA" , 46rd Midwest IEEE Symposium on Circuits and Systems, Cairo, Egypt, pp855-859. (2003) . Khaled Shehata, M. Helmy, N. Hamdy, and S. Elagooz, "Design and Implementation of High and Low Modulo (216+1) Multiplier used in IDEA Algorithm on FPGA" , 20th National Radio Science Conference (NRSC), Cairo, Egypt, pp. C10 1- C10 10. (2003) . Khaled Shehata, A. Taha, M. Esmail, and K. Morsi, "VLSI Design and Implementation of a CMOS Static 16-bit Block Cipher Module" , Proceedings of the Third International Conference of Electrical Engineering (ICEENG), Cairo, Egypt, pp43-54. (2002) . M. Helmy, N. Hamdy, Khaled Shehata, and A. Hashad, "Design and Implementation of High Performance Modulo (216+1) Multiplier on FPGA" , Proceedings of the Third International Conference of Electrical Engineering (ICEENG), Cairo, Egypt, pp125-135. (2002) . Hanady Hussien, Khaled Shehata, Nabil Hamdy and Khairy Abu Elsoud, "Design and Simulation of a universal Communication Security Unit" , IETA2001, Cairo, Egypt (2001) . Khaled A. Shehata, Hazem Hassan, Nabil Hamdy and Khaled Morsy, " VLSI Implementation Of A High Speed Block-Cipher Module" , 43rd Midwest IEEE Symposium on Circuits and Systems, Dayton, Ohio, pp 572- 575. (2001) . Khaled A. Shehata, Abdullah Khoder, Anis Ismail and Khaled Morsy, "CMOS Logic Families for VLSI Design" , Ninth International Conference on Aerospace sciences and Aviation Technology (ASAT-9), Military Technical Collage, Cairo, Egypt. (2001) . Mokhtar Halouda, Atalla Hashad, Khaled Shehata, Fawzy Ibrahim, Khaled Morsy and Ehab Adly, "Integrated Circuit Design, Fabrication and Testing " , Mechanical Engineering Technologies and Applications in the beginning of third Millenium, Alexandria, Egypt, pp-2/2/1-2/2/22. (2001) . Khaled Shehata and Douglas Fouts, "Two-Phase Dynamic Logic Circuits for Gallium Arsenide Complementary HIGFET Fabrication” " , US Patent #6150848 , 2000. Khaled A. Shehata, and D. J. Fouts, "Enhanced Performance of Complementary Gallium Arsenide (CGaAs) Circuits" , Second International Conference on electrical Engineering, Military Technical Collage, Cairo, Egypt, pp. 357-367. (2000) . Khaled A. Shehata, and D. J. Fouts, s. Michael , "A Dynamic Four-Bit Carry Look-ahead Adder Circuit for Complementary Gallium Arsenide (CGaAs) Fabrication Processes" , 40th Midwest IEEE Symposium on Circuits and Systems, Sacramento, California, pp- 1103-1106. (1997) . D. J. Fouts, and Khaled A. Shehata, S. Michael, "Dynamic Logic Families for Complementary Gallium Arsenide (CGaAs) Fabrication Processes" , 40th Midwest IEEE Symposium on Circuits and Systems, Sacramento, California, pp-1107-1110. (1997) . Khaled Ali Shehata , "Low-Power, High-Speed Dynamic Logic Families for Complementary Gallium Arsenide (CGaAs) Fabrication Processes " , Ph.D. dissertation, Naval Postgraduate School, Monterey, California, (1996) . H. H. Amer, and Khaled A. Shehata, "Effect of Intermittent Failures on the Safety of Parity Checkers" , Journal of Engineering and Applied Science, Faculty of Engineering, Cairo University, Egypt, Vol. 41, No. 3, pp. 649-658. (1994) . H. H. Amer, and Khaled A. Shehata, "Spice Simulation of CMOS Circuits with Fan-out in the Presence of Unconventional Faults" , Proc. International Conference on Computer Applications in Industry, Cairo, Egypt, pp. 421-424. (1994) . H. H. Amer, and Khaled A. Shehata, "Steady State Availability of a Repairable Module with a Parity Checker" , Proc. International Conference on Electronics, Circuits and Systems, Cairo, Egypt, pp. 928-933. (1994) . H. H. Amer, and Khaled A. Shehata, "Effect of Gate Oxide Shorts on the Behavior of CMOS NOR Gates" , Journal of Engineering and Applied Science, Faculty of Engineering, Cairo University, Egypt, Vol. 40, No. 4, pp. 839-852. (1993) . H. H. Amer, and Khaled A. Shehata, "Safe and Unsafe Faults in CMOS Exclusive-OR Gates with Gate Oxide Shorts" , Proc. Fourth ORMA Conference, Military Technical Collage, Cairo, Egypt, pp. 355-364. (1991) . Khaled A. Shehata, "Analysis of Fail-Safe Digital Electronic Circuit design With Gate Oxide Shorts (GOS)" , Thesis of MS., Faculty of Engineering, Cairo University. (1991) .